Funny, relatable sibling dynamics make this story a wonderful way to address navigating big changes. 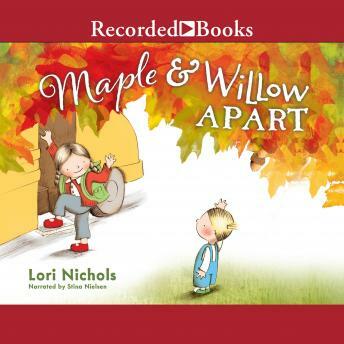 Lori Nichols's expressive artwork beautifully portrays Maple and Willow's strong bond, and children will love the creative, kid-powered solution. Maple and Willow have always been inseparable. So what happens when Maple starts big-girl school and Willow stays behind? Well, of course, both girls have marvelous adventures of their own, but the truth is, they miss each other. And when they see that the missing is mutual, they find a unique way to feel connected even when they have to be apart.